To all members, paid up or not, please remember that subs, boat parking and mooring fees are due by 31st January – existing SOs set up for later than this date are fine. The club does allow a final, final deadline for stragglers set at 1st March latest. 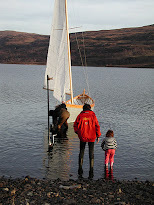 The scale of charges is posted as a separate page, above "LOCH BROOM SAILING CLUB - CHARGES". I will be sending out just one reminder in mid-February, for those recalcitrants who habitually forget to pay. And that's it! 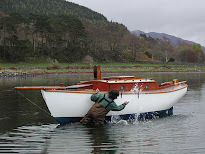 Self reliance rather than certification is a strong tradition in the Highlands, both afloat and ashore. We may appear to be among the most laid back sailing clubs in the country, which doesn't mean that we take safety lightly; far from it: you soon get bitten, sailing up here, but we rely on commonsense and the expertise of members, rather than an over reliance on certificates. 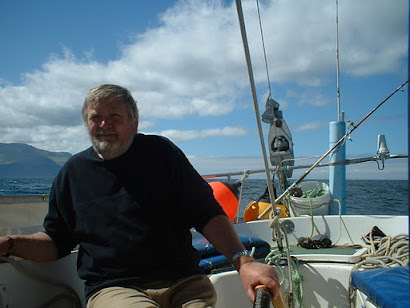 Take advice from an experienced sailor if in doubt about going afloat. Less confident sailors should stay in an area where you can be easily seen and quickly reached. 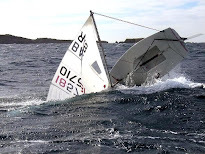 Do not sail in a boat or in weather conditions that are beyond your competence. In short: respect the weather conditions, which can change rapidly, and the advice of those who know the area from many years’ experience of its moods. Welcome to the Loch Broom Sailing Club. Our club is one which has traditionally had a fairly informal and non-disciplined attitude towards its running. As membership and facilities continue to grow there is, however, a need to be more rigorous and structured in our approach with safety being paramount and we do demand that certain safety standards are adhered to at all times. 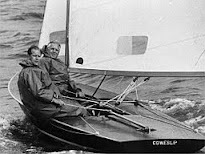 The club was founded on the competitive edge of racing in largely single class boats. From there it developed into cruising/racing and thence to long distance cruising. Currently, the fleet of Flying Fifteens and more recently Picos has stimulated the competitive edge and we now see a resurgence of interest in racing in general - and this is to be encouraged. The club is run by an elected committee and it has generally been the case that a regular core of committee members have been the mainstay of annual maintenance and repair to the clubhouse and its assets. We currently have a desire to improve the clubhouse and its surroundings, to maintain and look after the club boats, to organise training, to organise racing, to supervise Pico sailing, to be race starter, to chase grant aid - to name but a few of the ongoing requirements. We therefore welcome assistance from members who feel that they could help with, or perhaps take ownership, of any of these roles. We welcome new blood on the committee. If you would like to volunteer for any of these roles or feel you could contribute in any way to the running of the club we would be pleased to hear from you. Alternatively, please feel free to attend any of our committee meetings and offer your assistance. The club occupies a very prominent position and we are under scrutiny from locals and visitors alike. It is essential that we maintain the appearance of the club, its environs and its assets - and for this we rely mainly on the enthusiasm and commitment of members. We would encourage you therefore to take your share of work during the many work parties that we intend to convene over the summer and winter periods. Work parties unfortunately (or fortunately) have to fit between summer racing and cruising commitments and between winter training and boat maintenance - and that is before even considering the demands of normal family life - such is the life of a sailor. Responsibility for the safe operation of the club rests with the members. 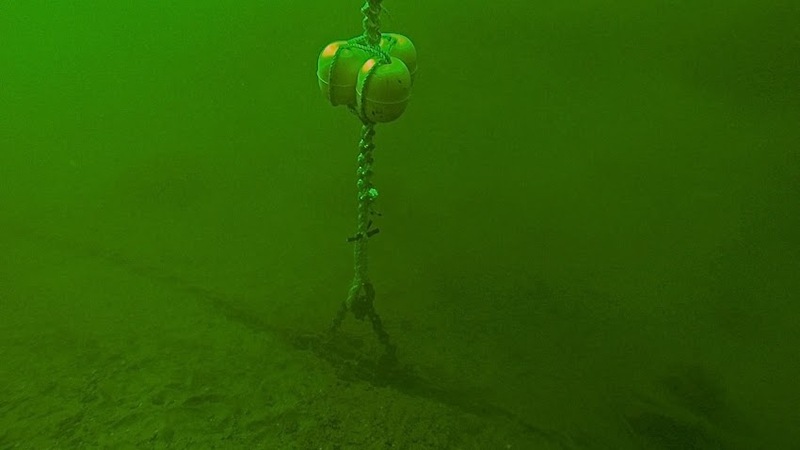 The guidelines will ensure, as far as is reasonably practical, safe conditions are maintained within the clubhouse and compound, and minimise the risks associated with activities on the water. Club members have a duty of care to take all reasonable steps to avoid injuring other club members and water users or damaging others equipment. Members participate in all activities, which are not club training events, at their own risk. Children are the responsibility of their parent, guardian or a supervising adult during these activities. The club does not carry out risk assessments for members taking part in these activities; it is the responsibility of individual members to make their own assessments of risk, taking into account factors such as weather, tides, skill, experience, equipment etc. Members are free to use club facilities and assets at any time, subject to the individual rules for the club’s Picos, Flying Fifteens and St Ayles skiff. However they should remember that safety cover is only available at organised club events and therefore they are sailing entirely at their own risk. A fundamental principle of maritime law is that the skipper is responsible for the safety of his vessel and crew. It is the skipper's responsibility to decide whether to start or continue a race. The club has only one Rule covering all water activities at all times: Life jackets or buoyancy aids (appropriate CE approved, eg min.150N life jackets or 50N buoyancy aids) must be worn by all those on or in the water. We may appear to be among the most laid back sailing clubs in the country, which doesn't mean that we take safety lightly; far from it: you soon get bitten, sailing up here, but we rely on commonsense and the expertise of members, rather than an over reliance on certificates. We have a number of members who have qualified as safety boat drivers, and coaches at various levels, and some of the older ones also have qualifications ranging from level 2 powerboat to Yachtmaster. RIB drivers must have level 2 Powerboat, minimum. 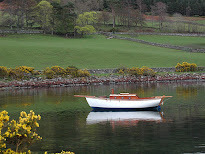 But self reliance rather than certification is a strong tradition in the Highlands, both afloat and ashore. Nevertheless we are constantly debating our approach to safety, anxious however not to spoil the ethos of a club that prides itself on being not only laid back but responsible. Members and other users of our facilities must take responsibilityfor their own safety both afloat and ashore. The club will do its best to provide on-water safety cover, but that does not alter individual responsibility. The safety boat is not always deployed for races, which puts the onus on fellow racers to assist if another boat is in trouble. Acceptance of this policy is a condition of going afloat. As a club member or visitor, you have a duty to both yourself and to other club users as regards safety. This duty means acting responsibly whilst on club premises, including in the use of the boat park andin the supervision of your children. In short: respect the weather conditions, which can change rapidly, and the advice of those who know the loch from many years’ experience of its moods. But above all, enjoy your sailing, within your personal limits. Picnic Tables and Barbecue: The club has two substantial picnic tables in front of the clubhouse and a basic barbecue. These are used for social events and are available for use on an ad-hoc basis. Club Room and Kitchen: The Clubhouse has a main meeting room and kitchen which is equipped with a kettle and microwave. Noticeboard: Events and matters of interest are posted on the noticeboard on a regular basis. Access to the Clubhouse: A key can be obtained from the treasurer for a small fee. Keys are controlled and should be kept secure and returned in the event of membership being discontinued. Whilst the Club does not have a formal non-smoking policy, it is requested that those members who do smoke take the wishes others into consideration at Social events and meetings in the Clubhouse. In recent months the club has been given a much-needed makeover, and a changing room made from the old storage room. Improvements are ongoing, and now include a new galley bar. The club room is available for a modest hire fee for functions and barbecues. 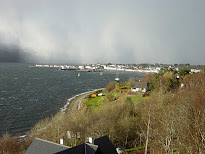 Its aspect, overlooking the harbour, is one of the best in the village. Flying Fifteens, Picos, cruisers, skiffs - we welcome all those who enjoy messing about on the water. LBSC is a friendly club that welcomes new members. 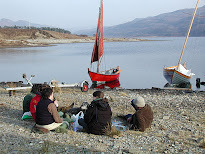 Loch Broom Sailing Club is open to all with an interest in the sea and sailing. You don't have to own your own boat or even have much experience. 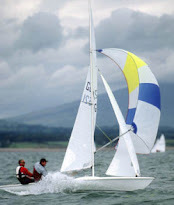 The Club owns some Flying Fifteens, 22ft keelboats which are ideal for racing and regatta events. Newcomers to sailing can get a good taste of the pastime by crewing a Flying Fifteen, without much danger of getting too wet (or traumatised!). Private FF owners number around 10, making a potential fleet turnout of a dozen boats. There are a range of larger cruising sailboats which undertake trips to the Summer Isles, the Western & Northern Isles and further afield. There are a growing number of children in the club who enjoy sailing accompanied in the Flying Fifteens and on the larger boats but also have fun on their own in the in the Picos, an ideal craft for small beginners. The Feva is a high performance dinghy for those who have graduated from Picos and can also be sailed by adults. Keys are available to purchase at cost. The Club House has a small lounge area, small store, toilet and small kitchen. There are no showers. Members of the Club are eligible for 10% discount at Caley Marine Chandlery Inverness. Bulk purchasing of items from other suppliers, such as wetsuits has been organised and members can enjoy discount of up to 30% on this type of order. The Club endeavours to obtain grant aid for group training and has been successful in obtaining a 50% grant for children's' training in 2003 and 2004. The Club is not an RYA accredited training centre, but has organised various training courses using visiting instructors and endeavours to give junior members every encouragement to learn to sail. Ullapool UHI can organise RYA shore based courses such as: RYA Day Skipper, Yachtmaster, Competent crew, RYA powerboat level II, First Aid, Liferaft and lifejacket use and safe use of flares. We have close links with local clubs which can offer formal training for those working up their RYA qualifications. Members of the Club are eligible to use Club owned assets (including the Picos, Feva and the Flying Fifteens). Use of all Club equipment should comply with club safety requirements. 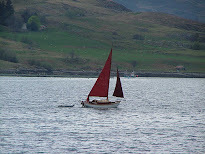 The Club has two Flying Fifteen classic racing dinghies afloat during the summer, moored just off the Wee Pier. Each boat is available for use by club members. Racing takes place most weekends, and on Friday evenings weather permitting, and Saturdays, 3pm. The Club owns three Pico dinghies and a Feva. These are launched each summer weekend, with safety boat cover, for the use of adults and children in the Club, weather permitting. Although the club is not a recognised RYA sailing centre informal instruction is given. Parents of children using the boats are expected to help out with launching, recovering, shore support and safety boat cover on a rota basis. Every season a week, Pico Week, usually the first or second week in July, is set aside for more formal junior training. There are eight moorings at around £15 per night payable to the Harbour Assistants any time day or night. To get in touch the boats should either use the VHF channel14 or 16 or telephone 01854 612091 (24hrs). The harbour is trying to keep the outer steps clear so yachts can come alongside for water and stores etc. If visitors wish to come to the pier they should use the same contact arrangements. Where are we? Follow this link for a map. The Wee Pier and Clubhouse are at the junction of Mill Street, Garve Road and Shore Street. Marine diesel is available at Ullapool Pier. Contact Harbour Office for details 01854 612091. Club burgees are now available from Donald Buchanan, for £21. Limited numbers, so get your order in quick. 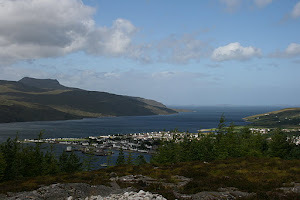 Loch Broom Sailing Club Ullapool Wester Ross. Simple theme. Theme images by quidnunc. Powered by Blogger.